If you use a MacBook without an external display, full-screen mode is brilliant because it allows you to fill the whole screen with the app or document you’re working in, while making it easy to switch between different screens to move between apps or windows. The app you’re working in takes over the whole screen and both the Dock and the menu bar slide out of view — although to get them back all you have to do is move the pointer to the bottom or top of the screen. Thanks to Apple’s clever implementation of features like Mission Control and gestures, using full screen mode is very easy. However, it definitely helps if you learn those gestures, along with the keyboard commands and other methods of using full screen mode on Mac. And, just as importantly, learn how to exit full screen mode. Even now, several years after it was introduced, not all apps fully support full screen mode. Often that’s because they have their own implementation of full-screen mode, or because they keep toolbars and palettes separate from document windows. To find out if the app you’re working in supports full-screen mode, hover over the green button at the top left of the window. If it shows two arrows pointing outwards inside the green button, you can use it with full-screen mode. To switch it on, just click the green button. Go to the View menu in the app you’re using and choose Enter Full-screen Mode. Press the Escape key. This works in most applications, but not all. Push the mouse pointer up to the top left of the screen until the three colored dots appear, then click on the green one. In both cases, the window will shrink and sit onto Desktop, you can then re-size it as normal. The method for minimizing a window on the screen hasn’t changed, you just click the yellow dot next to the green one. However, if you’re in full-screen mode, the yellow dot won’t be visible, so you’ll need to exit it first. To display a window after minimizing it, just find it in the Dock and click on it. Mission Control allows you to have several desktop workspaces on your Mac and switch between them quickly. When you use full-screen mode with a document or application, it’s allocated its own workspace. If you press the Mission Control button (F3), you’ll see all the workspaces and full-screen apps you’re currently using. If you hover over one with the mouse pointer, you’ll see the name of the app or document appear below the thumbnail. 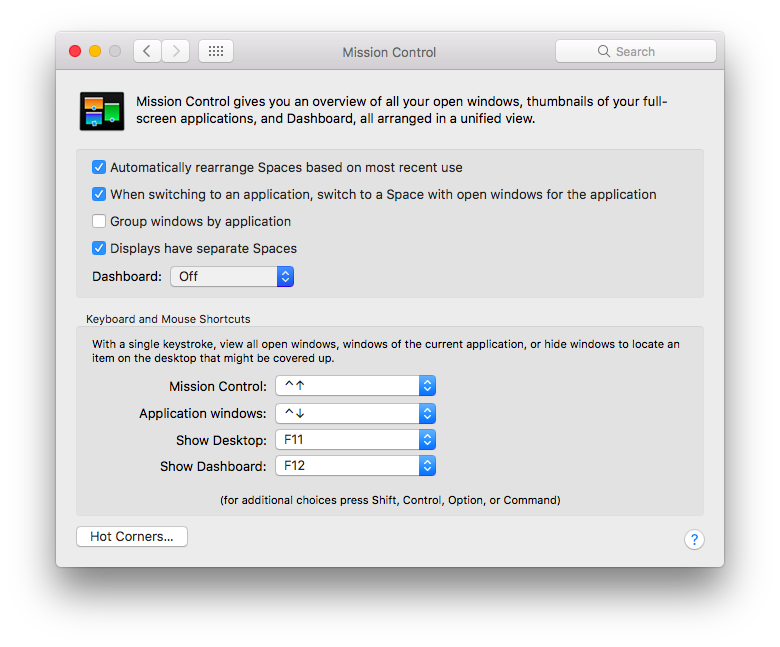 You can also invoke Mission Control by swiping upwards with three fingers on the trackpad. Once the full-screen apps and workspaces are in view along the top of the screen, you can drag the windows around to put them in the order you want them. That’s particularly useful if you use gestures to move between screens. If you use multiple apps or documents in full-screen mode and need to swap between them, use the above method to place them next to each other. You can then swipe left and right with three fingers on the trackpad to move quickly between full-screen apps and documents. You don’t have to use Mission Control if you prefer not too. You can switch screens by using the Application Switcher. Press and hold Command+Tab then use the arrow keys to move right and left along the row of app icons. You can also hold down the Control key and press the left or right arrow keys to move between full-screen apps. Full-screen mode is particularly useful when you need to switch back and forth between apps quickly. For example, if you need to check numbers in a table in a Google doc against those in a spreadsheet in Numbers. Just put Safari and Numbers in full-screen mode, then use Mission Control to position the desktops next to each other so you can quickly swipe between them. Putting apps in full-screen mode is also a great way of minimizing distractions. Many writing apps now have distraction-free modes and displaying them full screen allows you to get the most from that method of working. When you’re editing photos and need the maximum screen space available, full-screen mode pushes the Dock and menu bar out of the way. Likewise, when you’re watching a video, full-screen mode enhances the experience. First, try each of the three methods of reverting to normal mode: Command+Control+F; the green button; or the View menu. If none of those works, try quitting the app and then re-launching it. And if that doesn’t help, as a last resort, restart your Mac. 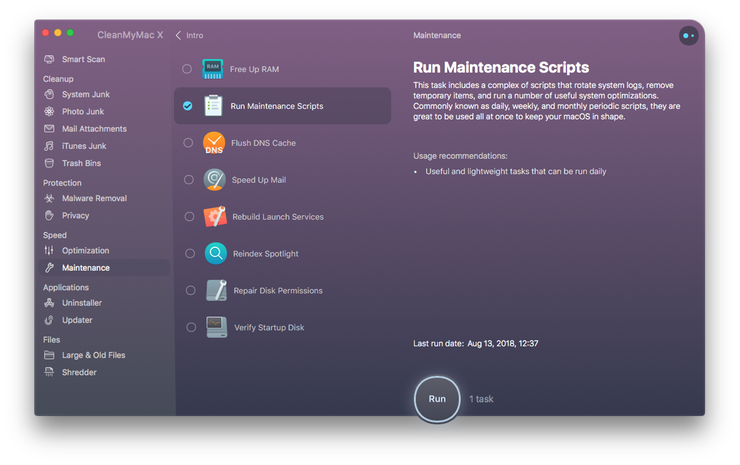 Check the boxes next to Run Maintenance Scripts and Repair Disk Permissions. That's it! 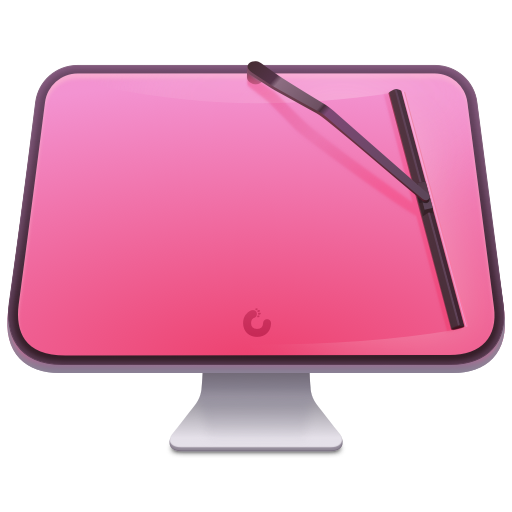 By the way, with the help of CleanMyMac, you can easily optimize your Mac performance. The app will quickly scan your system and find all the junk that slows it down. All you have to do is to click Scan and then click Clean. 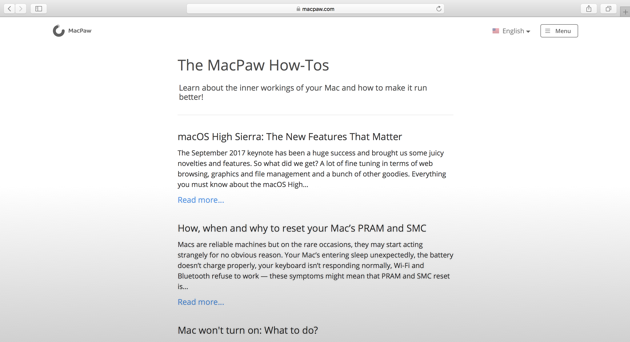 Don't miss a chance to make your Mac as good as new in just 2 clicks! Full-screen mode is a brilliant way of creating mode usable screen space on a Mac. If you use it together with Mission Control, it can feel almost like using multiple separate displays. It’s worth learning the keyboard shortcuts for both full-screen mode and Mission Control so you can use both quickly and effectively.